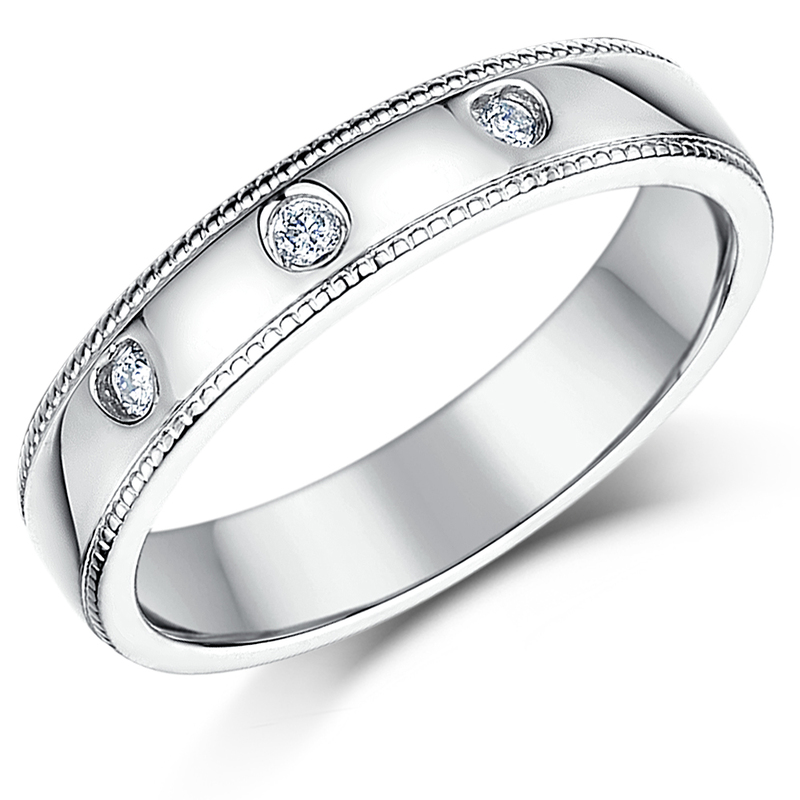 A 4mm sterling silver wedding ring band with 3 diamonds set in perfectly cut our hearts with beaded detail edge. 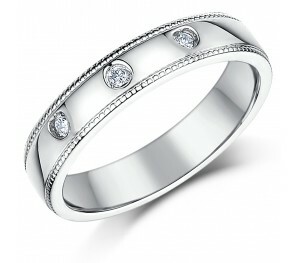 Celebrate your wedding day or any momentous occasion with this exceptional, contemporary wedding ring band! Studded with three brilliant diamonds in elegant heart shape settings, with delicate attention to detail, it offers a modern twist ot an already stylish design. 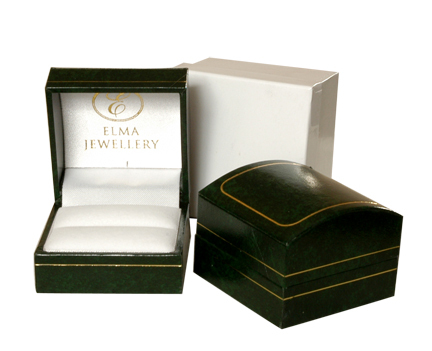 Features a 4mm comfort fit band. A designer wedding ring with an affordable price tag.